to monitor and control numerous intelligent machine room operations – such as electric power, air conditioning, ventilation, water, safety equipment and construction quality – system integrator, M&E Engineering, selected Red Lion’s Data Station Plus (DSP) for the job. In addition to providing a safe, comfortable environment for guests, the hotel chain was looking for a cost effective system that would provide energy savings and efficiency improvements. According to Red Lion, when installing an automation system, the distinction between many data acquisition and process control products can be somewhat confusing. Varying protocol types can make connecting field instruments and controllers to building networks a tedious process. Specialised converters tend to be expensive in price, simple in function and cumbersome to collocate. 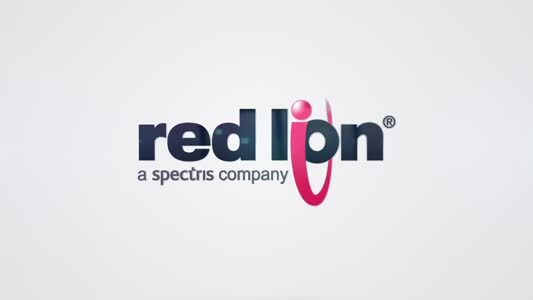 Red Lion’s cost effective DSP provides powerful data acquisition, multiple protocol conversion and control. 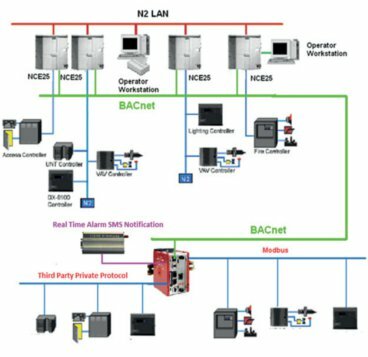 The system seamlessly collects Modbus protocols through a built�in RS�485 by simultaneously using the network interface to transform data of Modbus equipment to an NCE25 controller. Seldom used communication protocols such as BACnet are recognised with the built�in comm - unication instruction of the DSP. By connecting standard GSM/GPRS modem equipment through the RS�232 interface, realtime messages and email notifications are sent to monitoring alarm systems within the machine room. Offering support for the building automation BACnet protocol as well as EtherNet/IP and Modbus/TCP standards, Red Lion’s DSP automatically links all controllers located throughout the hotel network. The DSP also uses Ethernet to provide remote access that enables users to easily monitor machine room operating conditions regardless of location.